The day after prosecutors dropped 129 Inauguration Day riot cases, a dozen protesters whose cases weren't dropped were in a D.C. courtroom. WASHINGTON — The day after prosecutors dropped 129 Inauguration Day riot cases, a dozen defendants whose charges remain appeared in D.C. Superior Court. Twelve protesters appeared for a scheduling hearing before Chief Judge Robert Morin. They were all arrested during an Inauguration Day 2017 protest. Prosecutor Jennifer Kerkhoff told the judge she expects to call 18 to 20 witnesses during future trials. Last month, in the first trial of six protesters, the jury acquitted all of the defendants. Prosecutors had argued that protesters, dressed in black, were guilty of acting in concert with a smaller group that broke windows with crowbars and threw bricks and concrete at police officers. 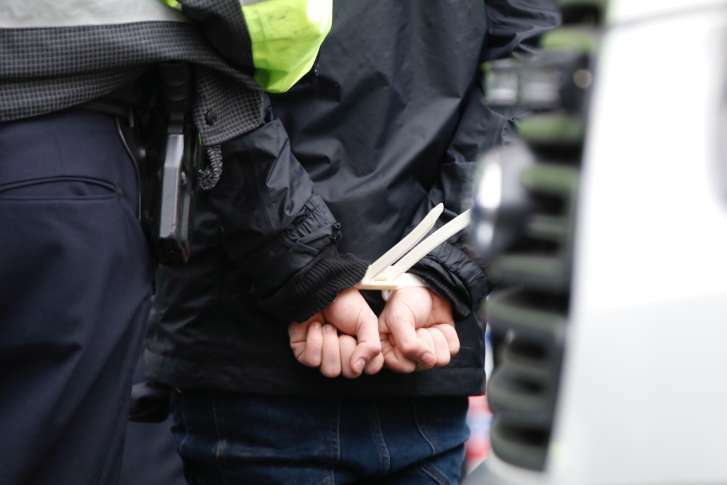 “The fight isn’t over — 59 people are still facing charges, in the same politically-motivated cases,” said Sam Menefee-Libey, of the D.C. Legal Posse — an advocacy group in support of the over 200 defendants who were initially arrested and indicted. “Prosecutors admitted in open court that they only allege a handful of people committed lots of property destruction, but they’re still prosecuting 59 people,” said Menefee-Libey. In the first trial, prosecutors acknowledged they had no evidence that any of the six defendants were personally involved in the property damage. In a Thursday news release, a statement from D.C. prosecutors indicated future trials would employ a different tactic than the failed aiding-and-abetting strategy used in the first trial. In the Friday scheduling hearing, defense attorneys said they had hundreds of hours of surveillance video to go through — much of which was used in the initial trial. In light of prosecutors dropping the majority of cases, the judge is rescheduling trial dates. The first trial is expected to begin in late March.